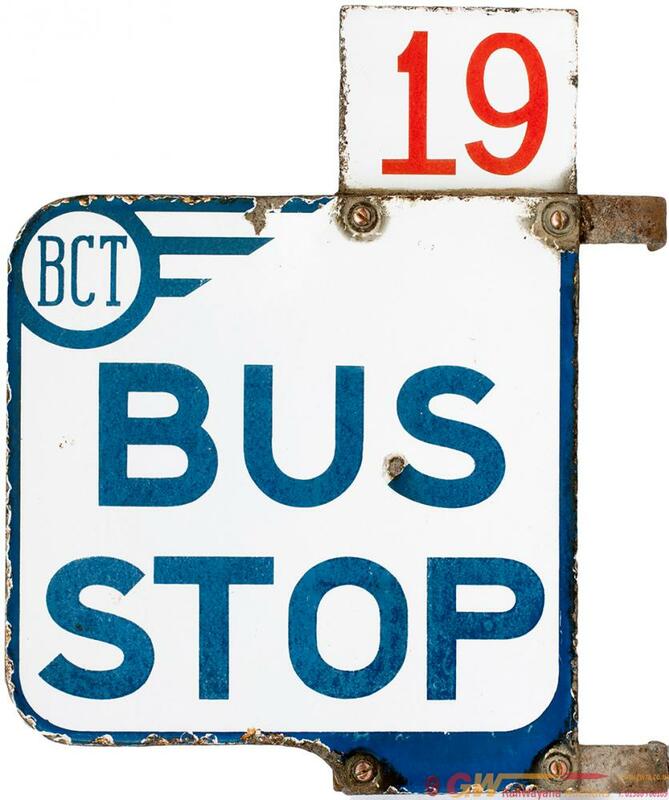 Enamel bus sign BCT (Bradford City Transport) BUS STOP with original 19 FARE STAGE to top. Blue on white enamel with original mounting brackets. In good condition with enamel a little mottled. Measures 16in x 14in.